It takes a mighty powerful stimulus to get the media to pay attention to biblical scholars. It is no surprise, therefore, when the Society of Biblical Literature meets with the American Academy of Religion each November that, for a few days a year, Bible becomes chic. This year various newspaper articles appeared, perhaps warning Chicagoans what all these crusty professors were doing invading their fair city, but the one that caught my eye was in the Chronicle of Higher Education. The Chronicle is the purveyor of all that is high-brow and sophisticated, epithets seldom applied to the Bible. The story in November 19’s edition made this clear by throwing in a little scandal—some Bible scholars believe the Bible to be “morally bankrupt.” Now there’s a twist. Nor is it really that hard to understand. Anyone who’s read the Bible seriously will have to admit to having squirmed a time or two at the moral implications. Dashing babies heads against the rocks will be one of those places. In a society accustomed to seeing in black and white, morally at least, it is difficult to get the religiously convicted to admit that the Bible is a pastiche. Some parts are morally sublime (yes, even in the Hebrew Bible where “love your neighbor as yourself” originates) while others are ethically execrable (can I get an amen from the babies?). It is always interesting to see friends quoted in the media. I taught Hebrew Bible for 18 years without anyone really being that interested (including most students). I guess maybe I wasn’t radical enough. To me the Bible has to be viewed in balance, the moment one falls on their knees before it the corruption has begun. Interestingly, the article focuses on the New Testament side of the equation. That’s where the sexier conflicts wallow. People arguing about the Bible. Is there anything more representative of American culture? It happens every four years, at least. Ironically the Bible quite often stresses the unity of those who believe. With thousands of denominations mutually excommunicating each other, one has to wonder if the Bible is living up to its full potential. Not that anyone will notice. Amid all the well-heeled, tenured professors, satisfied with their lot in life mill the hundreds who’ve spent thousands earning their advanced degrees. They are the lost generation—those for whom there are no, never were any, jobs. They are every bit as capable, and in many instances even more capable, than their tenured compatriots. The level of concern, at least at a visible level: nil. That, more than anything, indicates to me the true morals of studying the Bible. Gregory L. Reece’s Creatures of the Night is a strangely profound book. I picked it up to read on the plane home from Chicago and I wasn’t disappointed. Promising to explore ghosts, vampires, werewolves, demons and devils, Reece suggests that maybe the key to such fascination rests with the late Rudolf Otto. I had over a decade of students read Otto’s famous little book, The Idea of the Holy. Otto, whose palindromatic surname suggests something uncanny, characterized the holy as the fascinating mysterium tremendum, the wholly other. (I will refrain from calling it the wholly holy.) The mystery that makes us tremble. The monsters that haunt our nights and imaginations are aspects of this utterly other. Along the way Reece proves an able tour guide. He recognizes, as I have repeatedly stated in this blog, that religion and fear are conjoined twins. He also knows how to get your skin crawling. For Reece there is no question that such things are real. Real doesn’t mean that they are physically lurking outside your window at night—for who is to say that only the physical is real?—but they are as real as religion. No doubt strange things have transpired in history and continue to occur. And the reason we go into church may ultimately be the same reason that we watch a horror film. As Reece comes upon the topic of demons the air in the room (or plane, or bus) thickens. Here we have documented accounts of impossible events. No amount of rational training can remove the shudder from these stories. Explanations of epilepsy only go so far before terror takes over. By herding them together with vampires, werewolves, and ghosts, Reece stakes his claim that they all are real. Rational reductionists may shrink our world down so tightly that no room appears in the inn for our creatures of the night. But those who are honest, even among the reductionists, will admit to a mysterious tremor, even if unintentional, on a dark and stormy night. So the conversation between Dr. Otto Hasslein and the President goes in the 1971 continuation of the saga, Escape from the Planet of the Apes. Few probably pondered the weighty theological significance of this dialogue; it is not represented on IMDB’s quotes page from the movie. 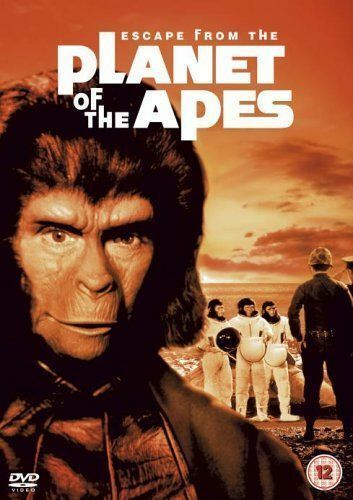 In fact, many critics aver that the Planet of the Apes movies devolved as they went on becoming less and less original. Nevertheless, the number of serious issues thoughtfully addressed in Escape made it one of the most well received pieces in the series. The world was a scary place in the early 1970’s, as I experienced it. It was easy to believe that we were on the brink of our own destruction—there were enough nuclear warheads to assure mutual destruction, and even a little boy in Rouseville, Pennsylvania could believe that his small town was significant enough to be a target. That message I’d heard as early as the final scene of the original movie. “Before I have them shot against the wall I want convincing that the writing on the wall is calculably true,” the President biblically insists. “How many futures are there? Which future has God, if there is a god, chosen for man’s destiny? If I urge the destruction of these two apes, am I defying God’s will or obeying it? Am I his enemy or his instrument?” Otto Hasslein does not know. His science which tells him there is no God also worries him that he is the very enemy of the non-existent deity. No, the Planet of the Apes movies are not the most profound films ever to escape the camera, but there is, as in any good theology, the raising of questions. And like any theology worthy of latter-day Herods, there will always be far more questions than answers. If you’re reading this, you survived Cyber Monday. Not that I personally remember the Middle Ages—I have no desire to return to them—but there was a time when nearly every day of the year was known by a saint’s name. Even as an Episcopalian, nominally Protestant, I was surprised just how many red letter days there were. Black letter days seemed special by comparison. Now, however, our days are named by the shopping expectations. Not only do we have Black Friday and Cyber Monday, we have the moveable feasts of “shopping days before Christmas.” And many other holidays participate in this bonanza dedicated to Mammon. Halloween is a major cash-generating holiday and Valentines can be counted on for buying love. St. Patrick’s for buying green with gold. Ironically, all of these were once, at some remote time, holidays decreed by the church. Many of them are even older than that, going back to pagan times, but religious nonetheless. In a sluggish economy such times are indeed anticipated. Still, I don’t hear of the one percenters suffering during these difficult times. “Let them eat cake,” Marie Antoinette once was supposed to have said. Cakes are celebratory desserts, of course. We make them everyday occurrences with birthdays that should, in theory, keep the river of cash flowing all year long. The great corporate cathedrals require the offerings of the average citizen, and they insist on far more than a tithe. Then the investment firms complain that people don’t think ahead and save their money for retirement. We see many who live long enough to experience want in their declining years. There should be an app for that. I wonder if there is something much deeper going on. Those who run so fast usually have something from which they wish to hide. There is the story of King Herod who, according to popular reconstruction, tried to buy the favor of his subjects by monumental building. Herod was not a popular king, and he had a reputation for being bloodthirsty when enraged. It is difficult to verify, but the basics of the story still ring true; when his way of running society was threatened he decided to kill the innocents. Such stories, one might hear a pontiff declare, fall within the genre of the folktale, the story told to make a point. What might that point be? Might it not be that each day is itself a gift and that spending money is not the only way to make time sacred? Of course, as long as you’re online, why not just PayPal your way to true happiness? A techno-log on Cyber Monday. Au Fait in the Manger? 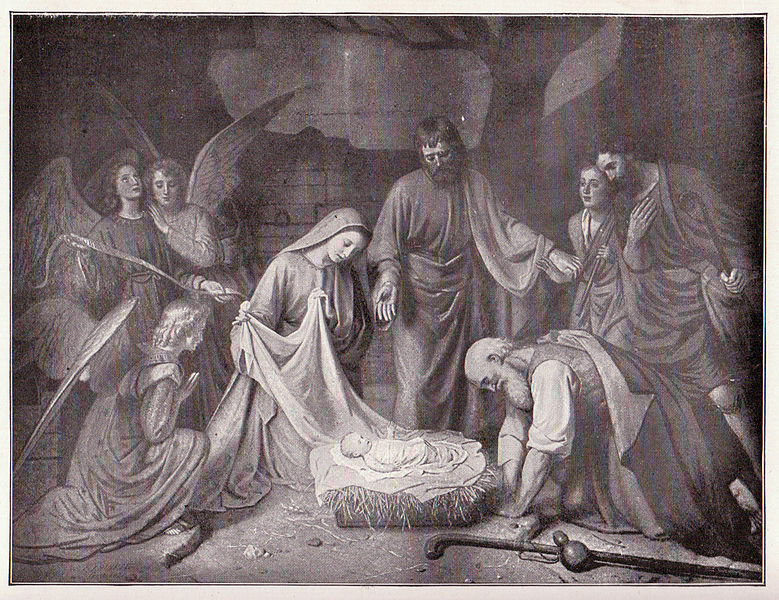 Christmas was not a big deal until relatively recent times. 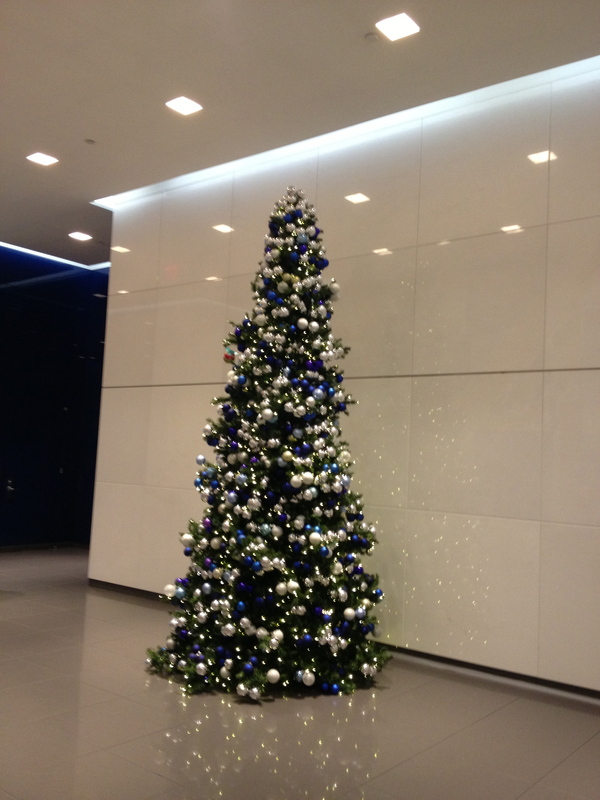 Now, don’t get me wrong—I’m not a grinch who believes the holiday shouldn’t be celebrated. I see nothing wrong with people giving things away, even if it is to pretend that they are celebrating an ancient Roman-occupied Judean birthday. This is the essence of what being religious should be all about; holidays should be occasions for thinking about others before one’s self. In my lowly opinion anyway. We’ve built an entire economic cycle on it, however, otherwise Black Friday might just be a free day to spend with family and friends instead of being trampled to death at Wal-Mart. Perhaps if society could find a way to distribute wealth more equitably every Friday would be in the black. The Pope’s new book is an attempt to make the Catholic tradition appear up-to-date with scholarship. Plans are for the book to be published in an entire Septuagint of languages with a print-run the envy of nearly every academic editor in New York. The problem is there is no real news here. News should be, by definition, new. A book by the Pope declaring the true equality of all people, throwing open full sacerdotal participation to women as well as men, and the distributing of papal wealth to the poor—that would be a Christmas present worth the waiting! Instead, when you pull the shiny paper off this book on December 25, you’ll only discover that you’ve received it on the wrong date and there will be no angels singing. The cattle will be lowing, however, if you can use your imagination. 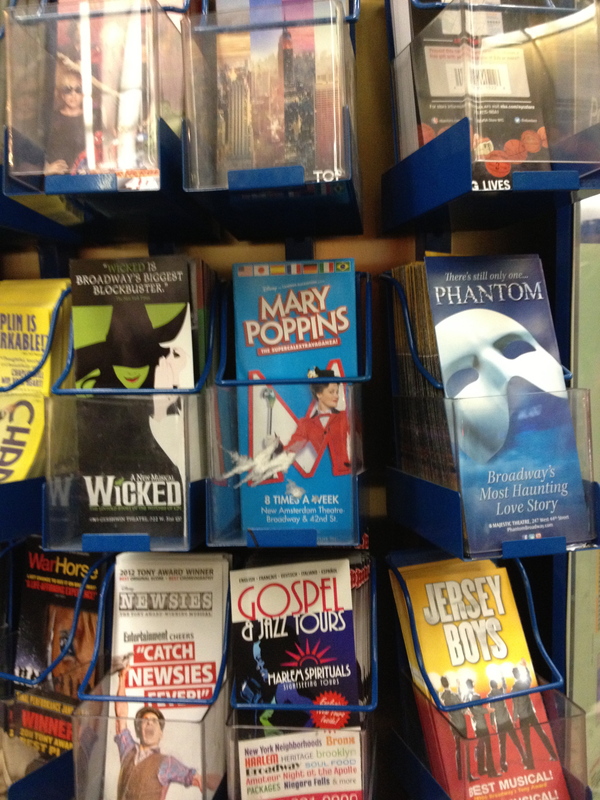 Religion and theater have much in common. I suspect that this is one reason several religious traditions initially protested against the secular theater. Morality plays were one thing, but dramas about purely human matters are quite another. Being given the very generous gift of tickets to the Phantom of the Opera, I recently had the opportunity to experience Broadway’s longest continually running show. It occurred to me that theater can often, if done right, draw in huge crowds—the line to get in was certainly impressive—while other than megachurches and very conservative religious movements based on reaffirmation of one’s superiority, many religious houses struggle to draw people in basically for free. It could be argued that secular entertainment requires less of an attendee than a religious service, but I wonder if that’s true. To receive your money’s worth for a show, you must be willing to put yourself into it. While Andrew Lloyd Webber has never been afraid of religious themes—think of Jesus Christ Superstar and Joseph and the Amazing Technicolor Dreamcoat, or even Whistle Down the Wind—Phantom of the Opera is loosely based on the early twentieth century novel by Gaston Leroux, the story of a hideously deformed musician who falls in love with a beautiful opera star. Although characterized as “a monster,” the Phantom is, after all merely human. Lloyd Webber’s adaptation leaves much of the story undeveloped, allowing the imagination to chart its own course. This is precisely where theater diverges from religious performance—imagination. Religions frequently claim to possess all the answers and questioning or imagining new approaches to age-old dilemmas is often discouraged. Unless, of course, the dilemma is how to draw more people in. Those who run megachurches learned the lesson of theatrics long ago. For all that, Phantom of the Opera is hardly devoid of religious sensibilities. In one moody scene where Christine visits her father’s grave for solace, and perhaps advice, the first set piece visible is the cross atop the tomb. It is from this cross that the Phantom in the guise of the “angel of music” comes to her. Having the representation of death emerge from a cross is a powerful enough symbol. During this scene Christine’s plaintive cries to her father sound like a prayer. The prayer is heard, however, only by a phantom. The end of the story is ambiguous, something religious performance simply cannot tolerate. And yet, as I was being pushed and propelled down a crowded Broadway after the show, amid a flood of humanity that had emerged from many theater doors, I wondered if this “secular” experience might not be religious after all. Science with heart. That’s one way to characterize Mary Roach’s writing. Uninhibited is another. I began reading her books when I saw Spook on the science shelf at Borders some years back. The nexus between what science teaches us and the magisterium of religion (ghosts certainly, by definition, fall into the “spiritual” category) has intrigued me all my life. I posted on both Spook and Stiff earlier in this blog. 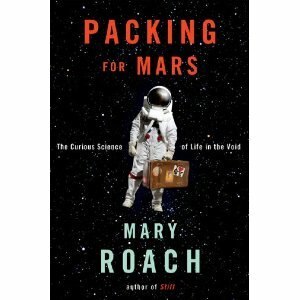 Her current work that my wife and I have just finished reading is Packing for Mars: The Curious Science of Life in the Void. The message that has rung loudly in my ears throughout the reading is that humans are evolved for this planet—space is not our native environment (well, at least not in a non-metaphysical sense). So many of the troubles she documents stem directly from the fact that we are biologically programmed to keep our feet pretty firmly on the ground. Weightlessness atrophies our bodies, cosmic radiation destroys our tissues, and there is always the difficulty of finding fast food in space. One of the most telling points Ms. Roach makes, as is frequently the case, comes in a footnote. The note could, with some imagination, have been expanded into an entire chapter. “Religious observations are even tougher in a real spacecraft,” she begins. She points out specifically the difficulties of taking communion on a moon trip or praying five times a day aboard the International Space Station that renders a day a mere 90 minutes in length and staying Mecca-oriented is difficult when moving so far so fast. Religious leaders have to make special dispensations for those who take their religion beyond the bounds of earth-evolved faiths. All of this raises a question that religions are reluctant to ask directly—what are we to make of petty observances that our belief systems demand when they are clearly based on outdated information? Judaism, Christianity, and Islam all developed in a flat world in a geocentric universe with a dome-like sky above them. The regulations were drawn up for just such a fictional world. When the religious become astronauts they leave that world behind them in a way that must stretch the credibility of a doctrine developed without the input of an astrophysicist. How does an astronaut hope to go to Heaven when some missions take her or him far beyond the realm of the gods into the cold reality of outer space? Looking down on Heaven must be disorienting indeed. If Mary Roach had an equal in the world of religion writing, I would hope that she would ask that very question. In any case, we are fortunate enough to have the one and only Mary Roach to raise the question for us and to keep us oriented toward our true home.